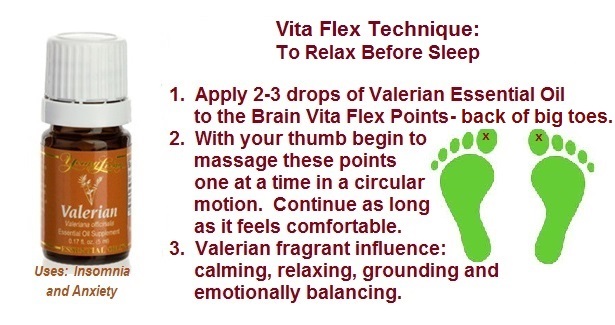 Vita Flex Technique means “vitality through the reflexes”. It can also mean relaxing through the reflexes. It is a specialized form of hand and foot massage that is exceptionally effective in delivering the benefits of essential oils. For some of us after the age 40, sleep quality and quantity changes noticeably as melatonin production in the brain declines.